From October 10 to 14th 2018, people’s movements, non-government and civil society organizations will gather in Bali, Indonesia to discuss the political economic contexts of the world today that shape International Monetary Fund (IMF) and World Bank’s (WB) role as an economic governance tool. It will look into the experiences of peoples’ movements from various countries in struggling against IMF-WB’s policies, and will put forward strategies for resistance and alternative models and practices drawn from the concrete experiences of grassroots communities. Karibu partner Asia Pacific Research Network (APRN) is involved in the planning of the conference, which will be held parallel to 2018 Annual Meeting of the IMF and World Bank in Bali. 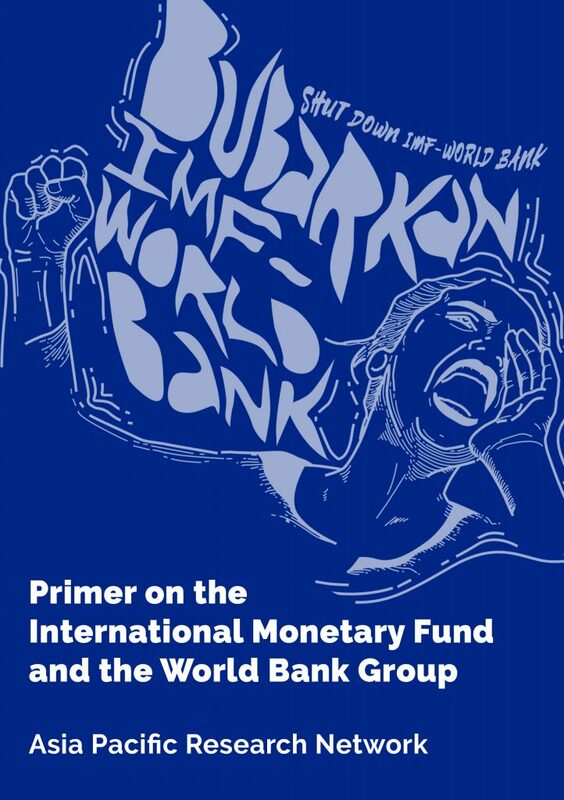 As part of the run-up to the events, APRN has released a primer to give an in-depth analysis of IMF and WB’s role in shaping the neo-liberal framework of global development.